Small addon that show perc value you set for relic forge. Also show english perc name for non english client. 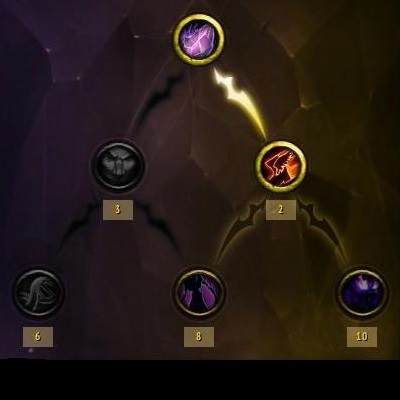 Any plan to update this for azerite armor? or release an addon that does the equivalent for that? a nice idea but the weights are just missing for my rogue, and finding weights to put in is nearly impossible. Check your class discord: " https://discord.gg/0h08tydxoNhuyXX "Once in the discord, in the search box on the top right type in "crucibleweight." Click "Relics" on the top of the page, check any of the 6 options below "T21", scroll down and you will see "CrucibleWeight Import String" copy the string for your spec and import it. None of my imports are being saved so I'm not sure if this is working as intended or not (heh). how does one obtain the iconID or path for the icon you want to use for your profile? I tried several google searches on "icon ID WoW" and can't find an answer. help! I have encounterede a bug on you addon, or i think it is anyway. when i try and use it, it has stopped showing the value on the different relic slots. Is that a bug, or is it me who have done something worng ? btw i love this addon. is it possible to add the calculated value of a relic to show up on the item in your backback/bank like it ilvl or at least as a aditional tooltip information? would be great! Хороший аддон, но не хватает очень полезной детали: запоминания дерева трейтов на реликах. По скольку они сейчас не все прокачаны - приходится либо постоянно летать к тигелю, чтоб глянуть что там в реликах, либо записывать на бумажке, чтоб узнать стоит ли пытаться выбить другой релик или нет.